We drove Frozen Point Road south to east Galveston Bay. We saw egrets, snakes, crabs, yellow rails and many other birds. Frozen Point road goes through the center of Anahuac Wildlife Reguge about 10 miles to East Bay and along the shore to Frozen Point. 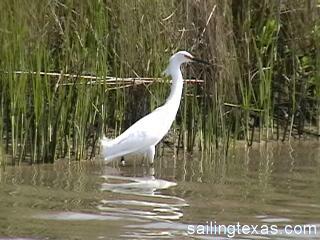 Then a walking trail goes a few miles east along the shore where you can wade fish Galveston Bay. This video includes a snake, egrets, birds, a crab, views of east Galveston Bay and the yellow rail habitat.